I know you normally announce this on the Multiplayer Game Schedule thread, but there are still many of you who post on the forums with whom I've never played a game. -if people come onto your server, the full XP that each person earns goes to everyone: it is NOT split and diluted! Therefore, the more the merrier, and the faster everyone levels. -don't worry if you're way different level. If you're much higher, you'll be powerleveling noobs. If you're the noob, you'll powerlevel like crazy by doing nothing, at no cost to others. -everyone I've played Din's Curse with is very generous with loot. It's a great opportunity to trade with others and each get what suits you best! So if you don't see a server and want to play with others, make your own! What better time than when everyone is excited as hell about an xpac? I'll start my own server in a little while if I don't see any others. Last edited by Nobear : 12-30-2010 at 02:49 PM. Question though: is 1.011 beta compatible with previous versions online? What about Demon War beta? Are you going to play as a new character on multiplayer, cause i made a new character. I can go either way. I was actually getting ready to play my 81 Rogue (the first Rogue I made, that I assigned stats badly to, which are now reversible, but has the name I want to keep :P) I could power level your new character to match one of my others, remember what a riot that was with Fantastiballs? But what's your highest level toon? What better time than when everyone is excited as hell about an xpac? 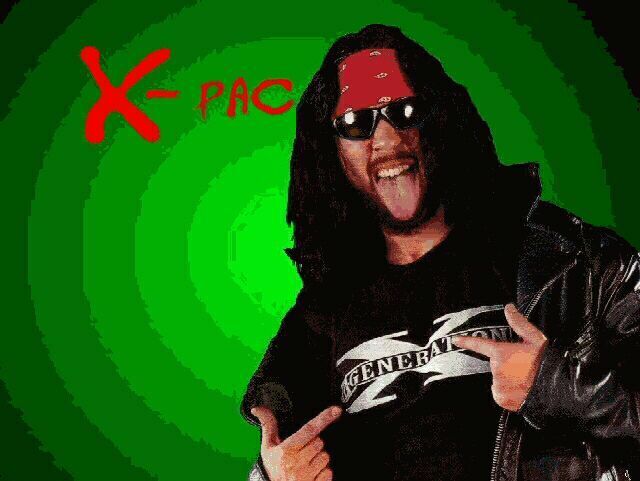 Maybe it's just me, but whenever I see "xpac," I think of a really douchey pro wrestler. Before my comp crashed in september- lvl 89 rogue, now the highest level character is my assassin/icemage who is 50. You play with him alot so you know. Im taking a break from him in order to screw around with the demon hunter class. Im at lvl 9 right now. Have you ever played a hybrid no bear? You should make a hybrid with the demon hunter just for fun. It would be cool, and if you need any ideas i can come up with a few. Me too. The reason i hate him is because he looks like a dirty version of kirk hammett from metalica. Anyways, from now on that's what i'll do. I have a lvl 58 warrior as well as a few starters (a rogue, a conjurer and an archer). Hey DeathKnight do you want me to power level your Demon Hunter using my 81 Rogue? LOL Then he will be high enough to play with my Wizard and Tar's Warrior. Ok I have been on the forums all day, I need to play! As usual, I'll make a server on US West if I don't find any others. I'll call it Nobear Xpac just to be a douche :P.
Edit: Oh, and if anyone has spare Fryse's Blue or White rings, I will gladly trade one of my other awesome items for it. So is Demon War compatible with non xpac clients on Multiplayer?